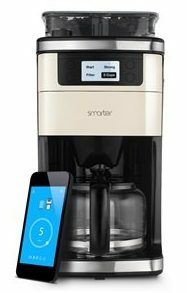 The Smarter Coffee Machine is a revolutionary new coffee machine that gives you fresh, delicious coffee at the tap of button, remotely from anywhere within the home. Available in 3 colours, (Black, Red or Bronze), the removable panels included in the box enable you to choose the right colour to suit you. The control panel also allows you to use Smarter Coffee in person if your phone isn’t nearby. Grind and brew fresh beans any time, by just pouring in your selected beans, choosing the coarseness of the grind then starting directly from your smartphone or control panel. 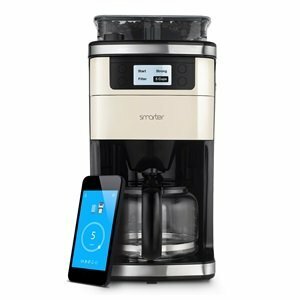 The new Smarter Coffee Machine App available on iOS and Android has been creatively designed to make it easy to control your Smarter Coffee machine remotely. Choose how many cups of coffee you would like to make, anywhere from 1 to 12 cups. The water level sensor feature shows you exactly how many cups you’ll be able to make. Tweak the strength of your coffee, keep your coffee warm and turn on wake up and home mode directly from the app. Perhaps the best use of the app is that it makes some maintenance options easier. So rather than trying to figure out where the descale mode is, you can just open the app and tap descaling mode. This option gives you clear on-screen instructions as to what you’re supposed to do, so that you can quickly clean up your machine without all the fuss. Apart from that, you’ll need to clean the filter and filter holder after every use. Neither of them are dishwasher safe, so you’ll need to clean them up the old fashioned way – by hand. Similarly, you’ll want to clean the carafe every time you use it. Finally, you should wipe the grinder shoot often with a soft, damp cloth, otherwise coffee grounds will end up stick to the underside. Find best priceThere’s no doubting that this coffee machine is clever and the app makes descaling a lot easier than on other machines. I also like the built-in grinder, so you always ensure that you get fresh coffee. All that said and done, there are some issues with the machine. For starters, I was prompted to update the firmware, which interrupted the current brew cycle, effectively ruining a couple of cups’ worth of coffee. Next, this coffee machine is extremely expensive, even considering that it has a built-in grinder. Does the Smarter Coffee Machine work with Apple Watch? No it does not as the app is not available on the watch yet. Does it integrate with Ifttt? 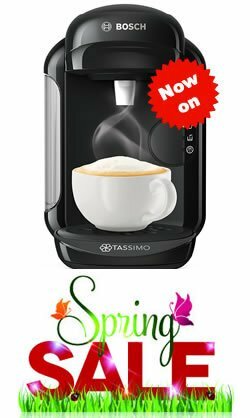 What are the dimensions of the coffee maker? Does it work with apple HomeKit? Can I use beans and ground coffee? Both, there’s a compartment on the top for beans and you can put filter coffee directly inside into the filter. Do I have to use the smart function or will it work without? You can control it with the buttons on the front of the machine, however, you cannot turn on the hot plate without the app.